1812: Napoleon gathers an army of 600,000 men from 24 different nations, the largest army ever united. Against the advice of his closest councilors, he marches towards Moscow with the firm intention to conquer Russia. This is the start of the Campaign of Russia. Why did Napoleon decide to conquer Russia? How could the greatest leader of the time make so many strategic mistakes? 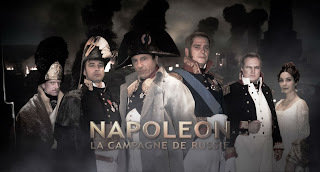 Through the journals, letters and memoirs of soldiers, Russian citizens, politicians and Napoleon himself, this mini-collection will tell with emotion and historical accuracy Napoleon’s first defeat.